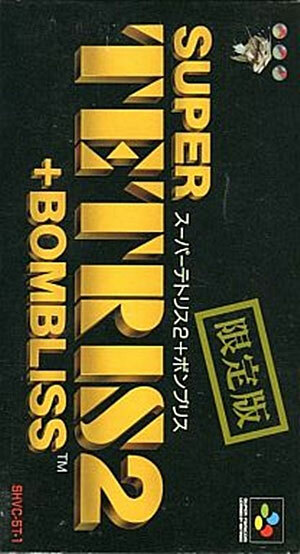 Bumper package of Tetris 2 plus Bombliss: Tetris with a wee twist in that successfully completed rows make bombs that can then be detonated by completing that row. The results can clear away a huge proportion of the screen and tactical explosions add an extra element to the fine original Tetris without detracting from its core values. Known in the West as Tetris Blast. Second hand. Please note: no manual or box are supplied. Sun tanning to reverse of cart.